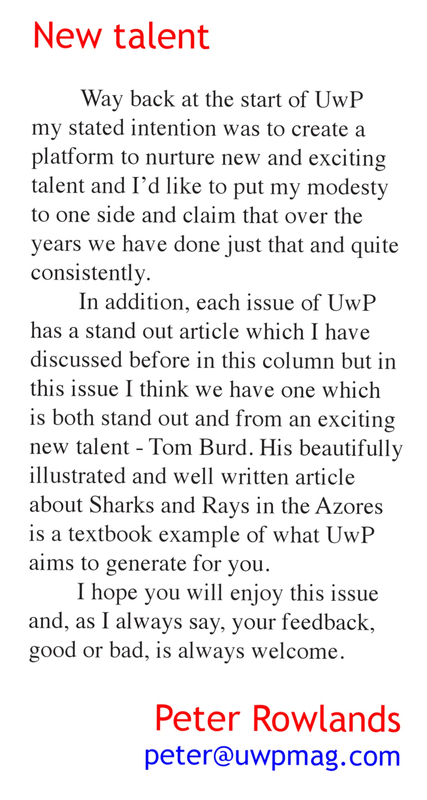 Having always enjoyed writing, I regularly publish articles in online and print magazines such as UWP and Sport Diver UK. My goal is to primarily highlight conservation issues, but I enjoy talking about photography techniques and spotlighting unique dive destinations. Have a read of an article here. I'm also very proud to have my photos used by the multiple charities with which I work, in particular the Manta Trust. As well as many providing images for social media, a series of my photos directly helped depict the plight of the beautiful devil rays. Through public outreach campaigns and governmental pressure, the Manta Trust and other NGOs played a large part in obtaining environmental protection under CITES for all 9 species of mobula. A huge success! Guide to the Manta & Devil Rays of the World (Guy Stevens et al.) - I'm proud to have to numerous photos featuring in this first of its kind guide. The National Aquarium Conference & BIAZA - Hosted by the Sea Life Centre Birmingham in 2015, I provided the majority of the media photos to promote conservation talks and decorate the event. Latin American Sea Turtles - Photography shoot for the local educational outreach campaign. Northern Belize Coastal Complex - A brochure destined for shareholders, politicians and the general public, to raise awareness of the risks facing the marine ecosystems of Belize.